Another Thursday, another throwback. This week it’s time for screencaps of Tom in Episode 3×01 of Miranda.. 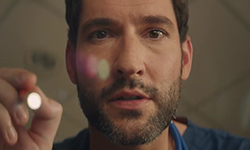 This entry was posted in Screencaps, Throwback Tom, Tom Ellis and tagged Gary Preston, Miranda, Miranda Hart, Pictures, Screencaps, Tom Ellis on February 21, 2019 by About Tom Ellis. Another Thursday, another throwback. This week it’s time for screencaps of Tom in Episode 2×06 of Miranda.. 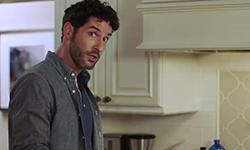 This entry was posted in Screencaps, Throwback Tom, Tom Ellis and tagged Gary Preston, Miranda, Miranda Hart, Pictures, Screencaps, Tom Ellis on February 14, 2019 by About Tom Ellis. This entry was posted in Screencaps, Throwback Tom, Tom Ellis and tagged Gary Preston, Miranda, Miranda Hart, Pictures, Screencaps, Tom Ellis on January 31, 2019 by About Tom Ellis. 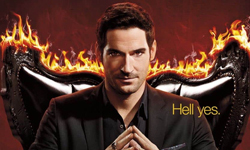 This entry was posted in Screencaps, Throwback Tom, Tom Ellis and tagged Gary Preston, Miranda, Miranda Hart, Pictures, Screencaps, Tom Ellis on January 25, 2019 by About Tom Ellis. Another Thursday, another throwback. This week it’s time for screencaps of Tom in Episode 2×01 of Miranda.. This entry was posted in Screencaps, Throwback Tom, Tom Ellis and tagged Gary Preston, Miranda, Miranda Hart, Pictures, Screencaps, Tom Ellis on January 10, 2019 by About Tom Ellis.